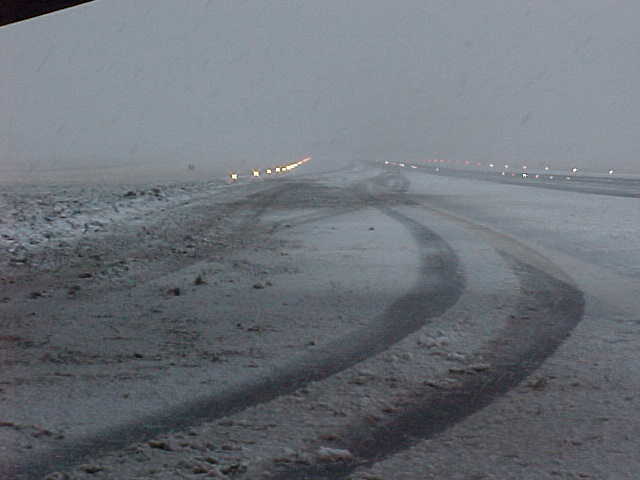 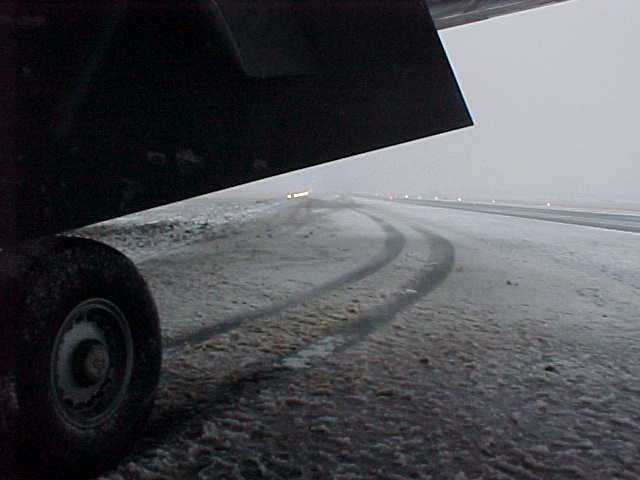 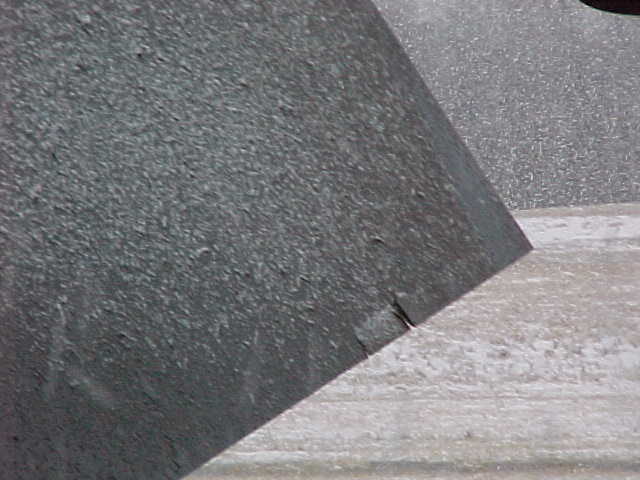 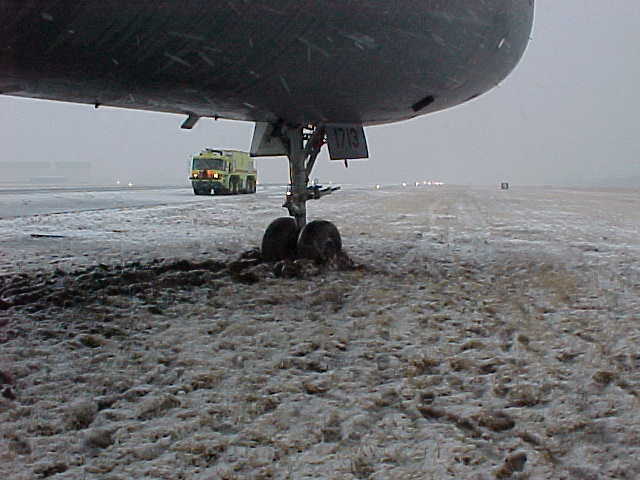 Aircraft 79-1713 departed the runway surface after a hard landing in bad weather. 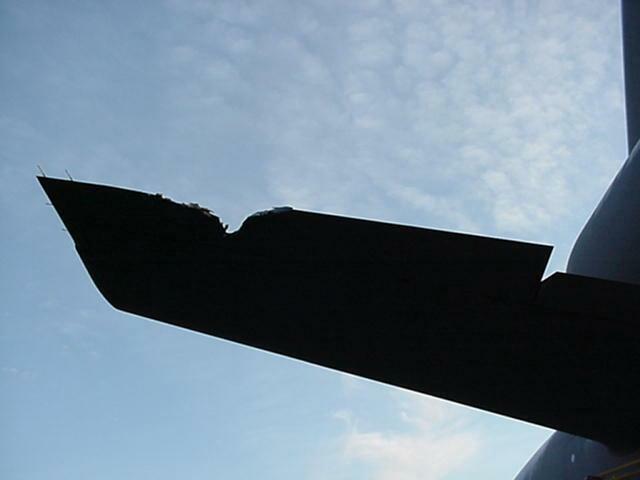 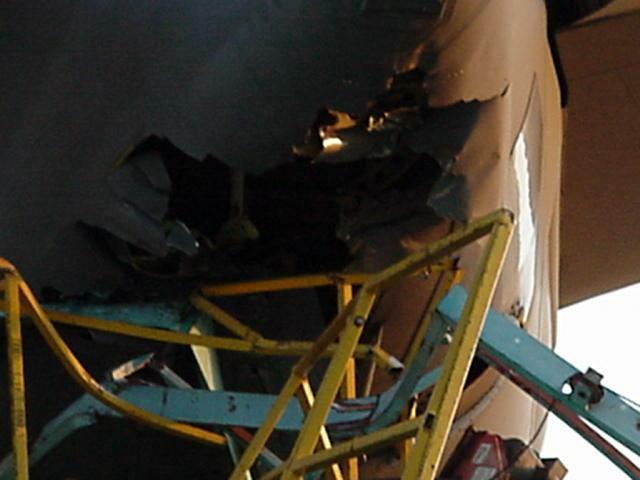 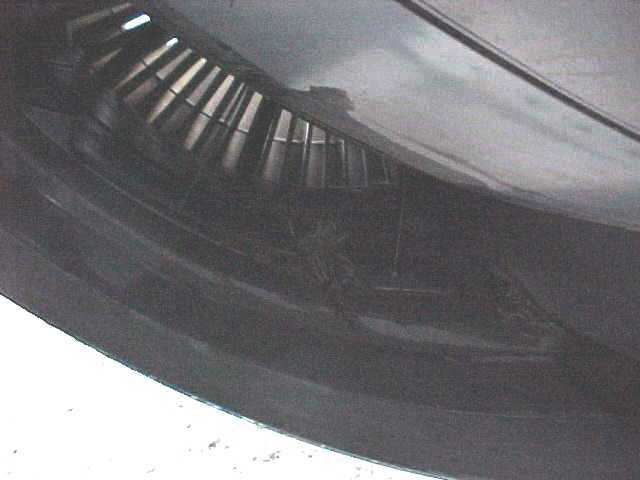 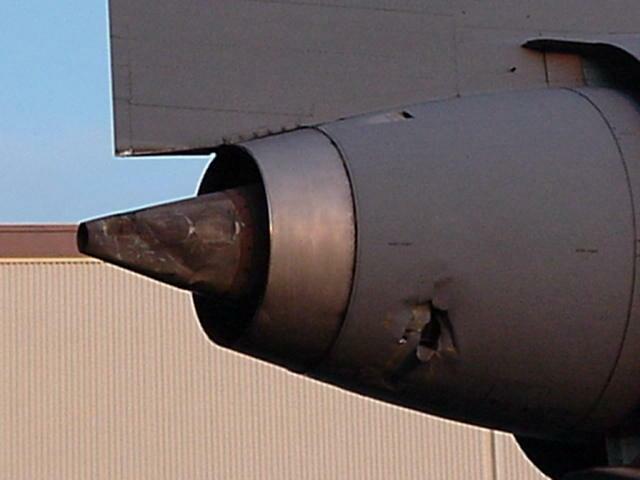 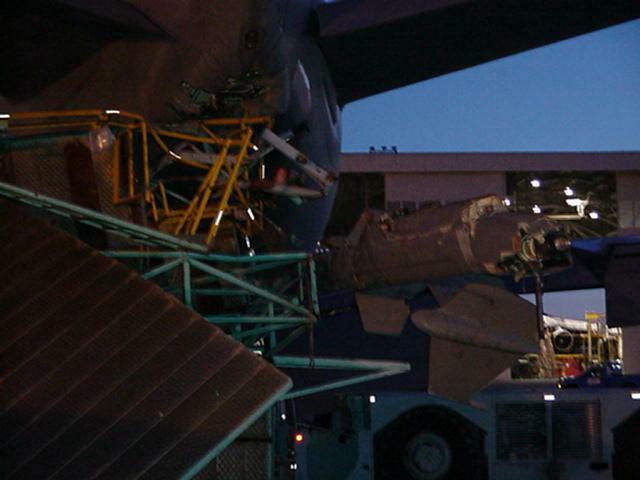 Aircraft suffered damage to flaps, engines, and gear. 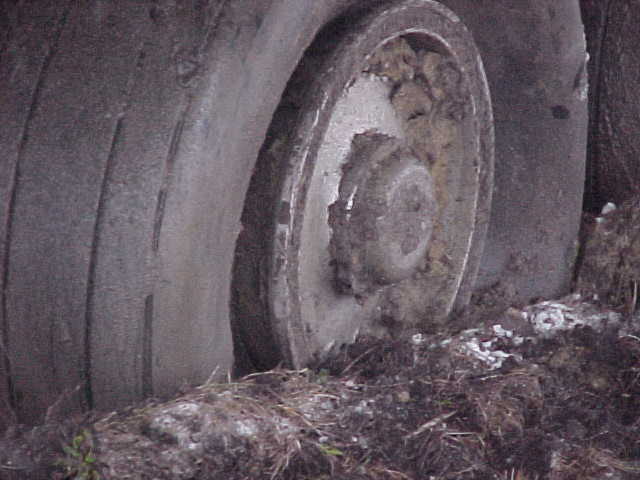 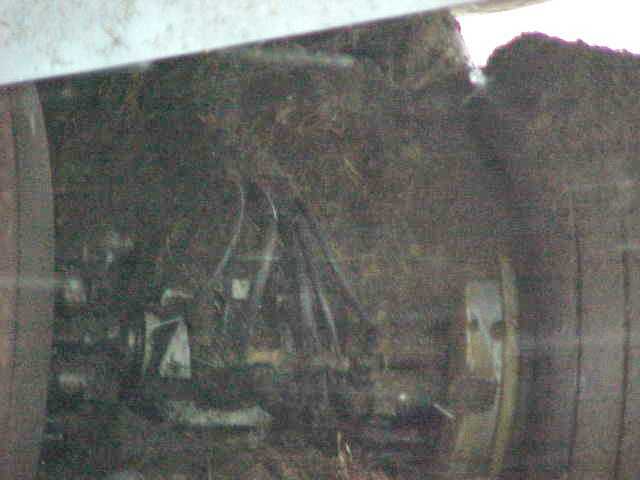 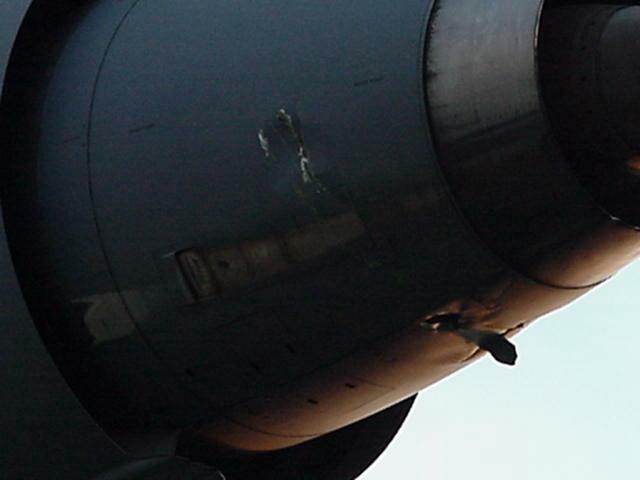 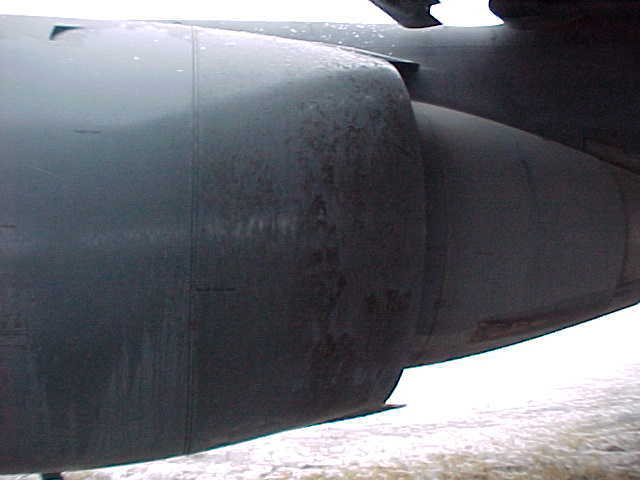 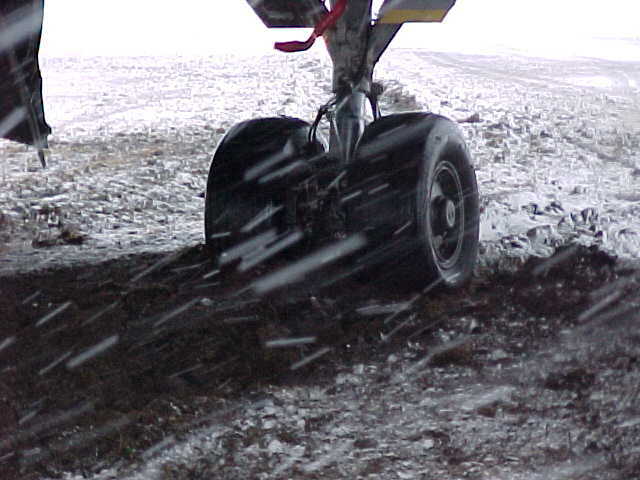 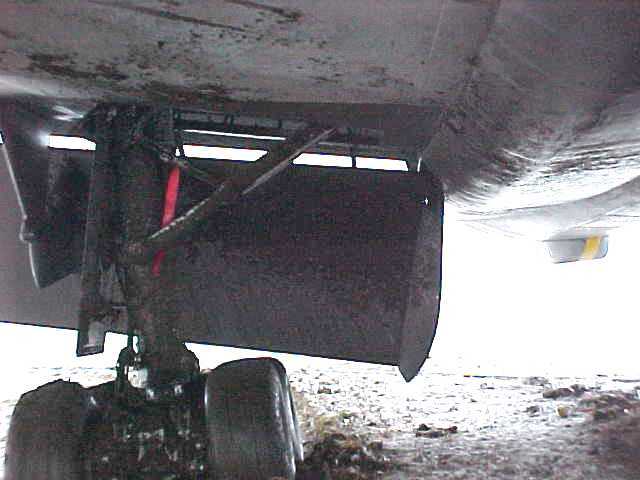 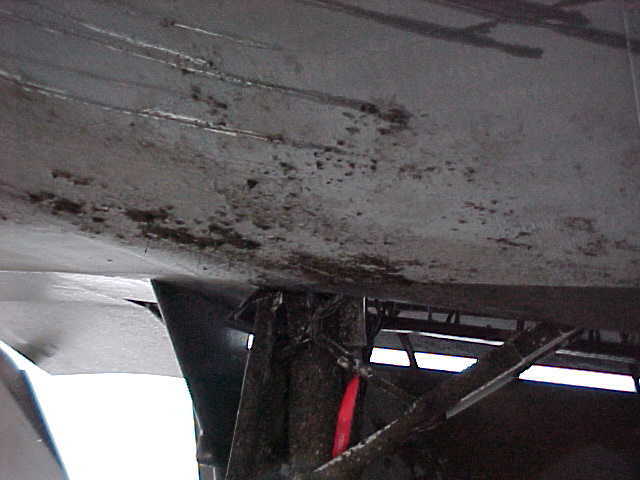 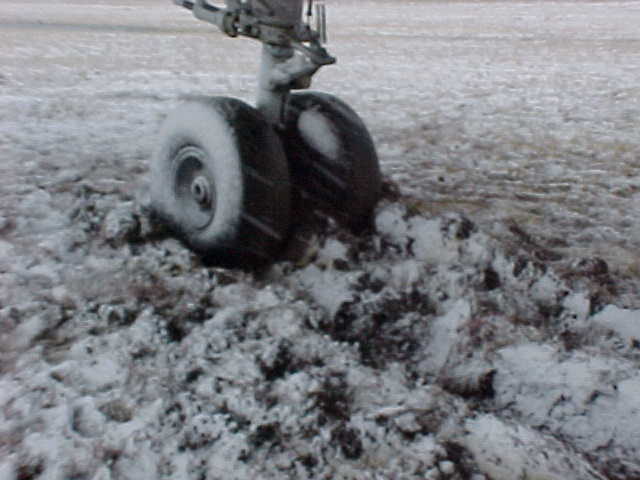 Right main gear can be seen bent; nearly collapsed. 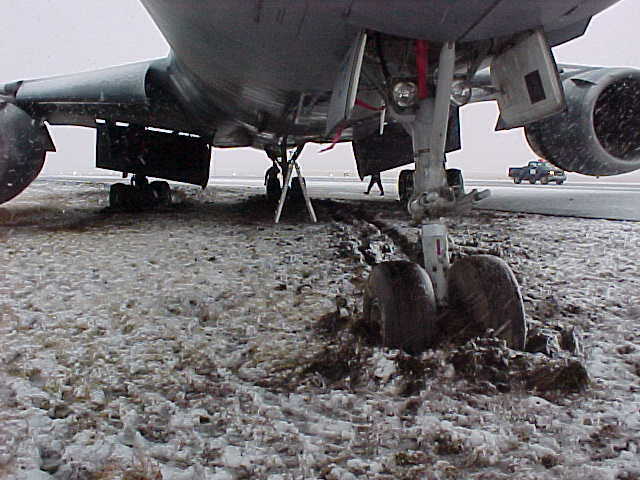 Aircraft was disconnected from the tow vehicle without chocks or brakes being set. 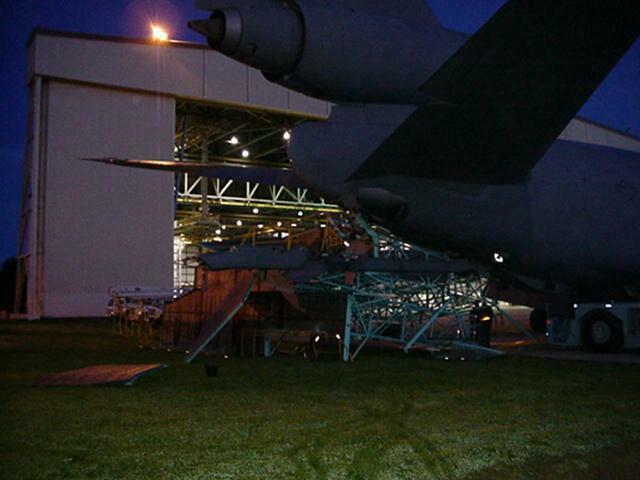 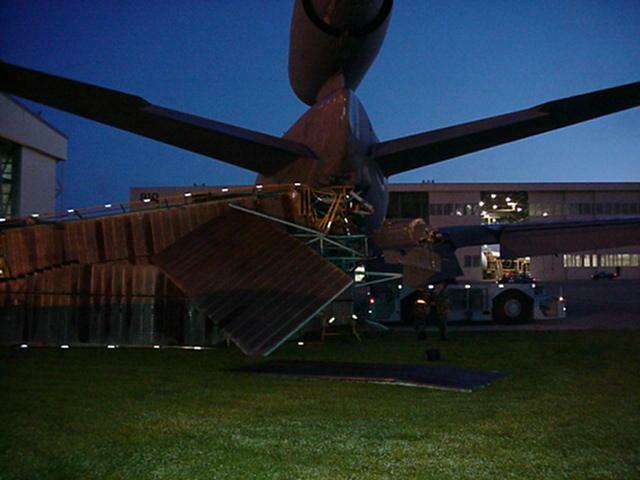 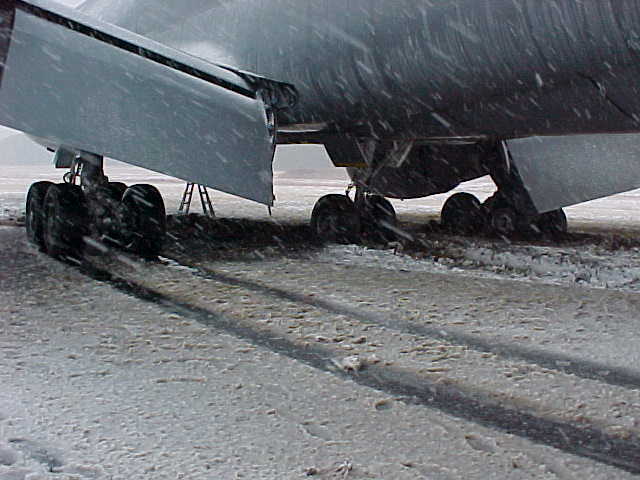 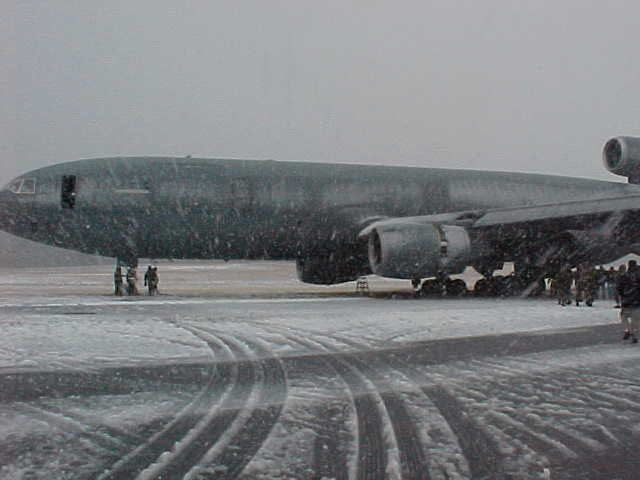 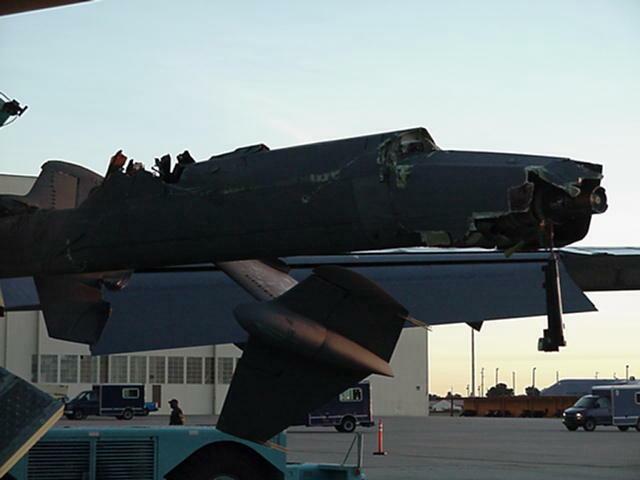 The aircraft rolled back until it struck a KC-10 maintenance tail stand. 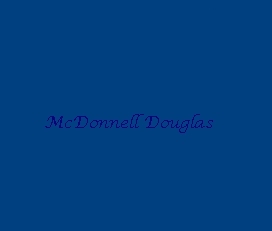 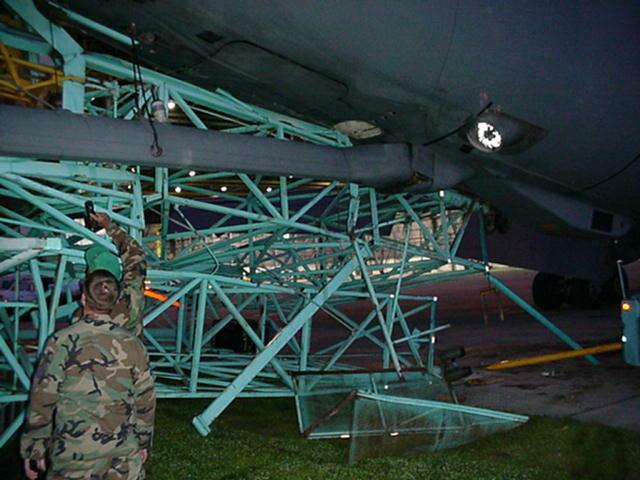 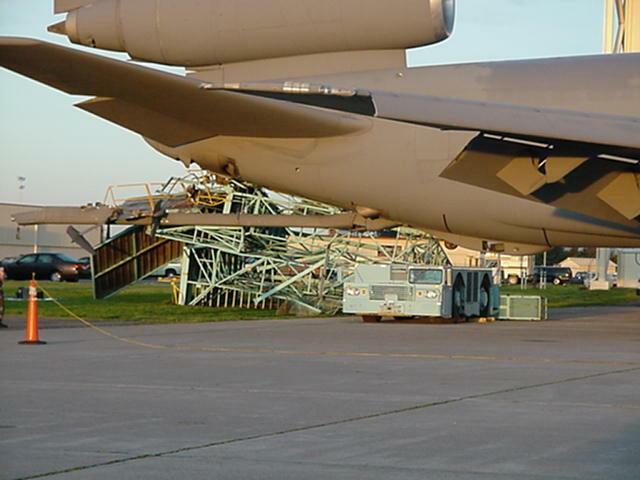 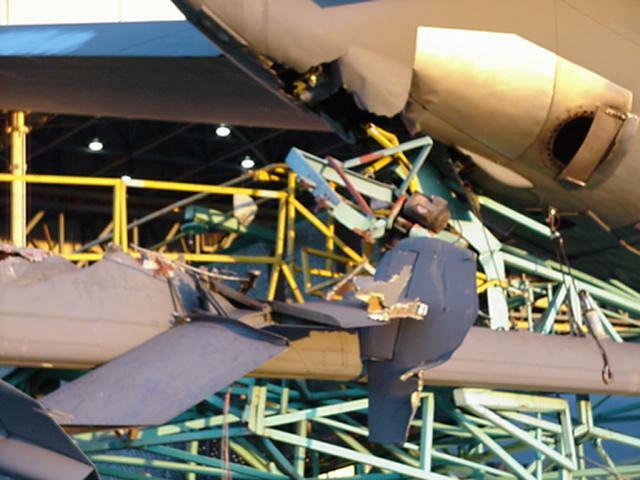 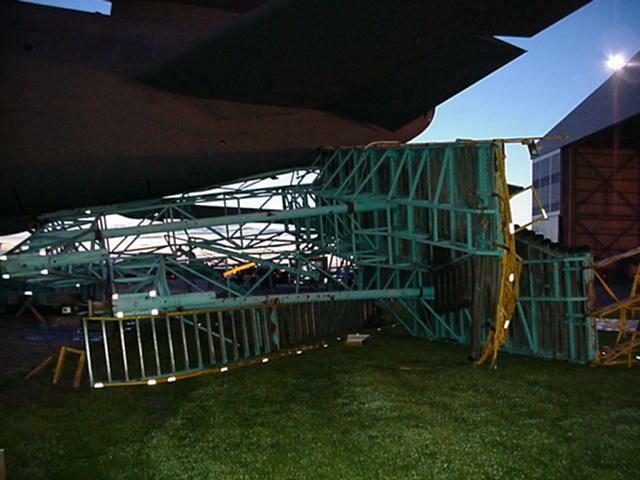 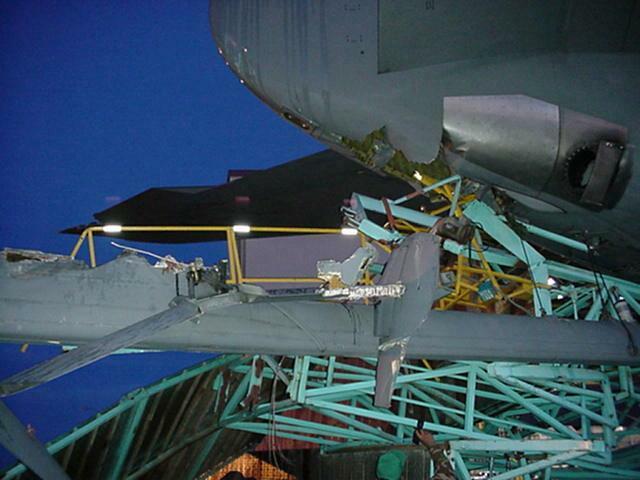 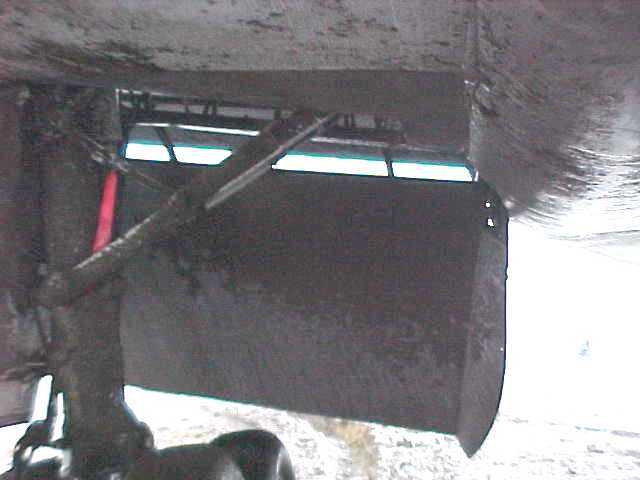 Severe damage to elevators, #2 engine, air refueling boom, tail cone, and empanage areas.